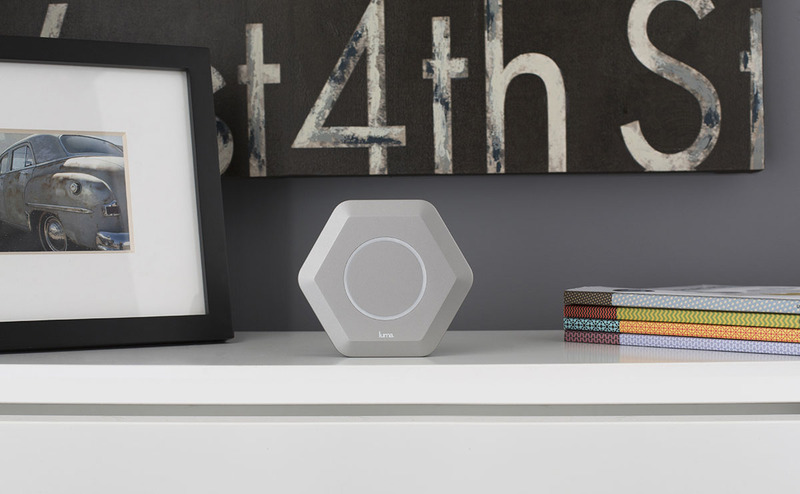 Luma, an Atlanta-based company that makes a sleek router with a wide variety of bells and whistles, has added $7 million in funding to its coffers from Andreessen Horowitz and GV. The capital comes fast on the heels of a $12.5 million in Series A round that was co-led in April by Accel Partners and Amazon, with participation from Felicis Ventures. Luma, which was founded two years ago and now employs 60 people, looks right now like a serious contender. The company’s glossy WiFi routers are reminiscent of Apple products. They also feature the kind of network controls you might find at a large company. That’s because Judge and cofounder Mike Van Bruinisse forged their careers by solving complex networking and security problems at big enterprises, including their earlier company CipherTrust, acquired by Secure Computing, and their company PureWire, acquired by Barracuda. Luma is also appealing to parents with features that can enable them to easily filter when and what their children watch. Want to turn off your WiFi during dinner hours? You can do that. Want to revoke access to someone on your network? With little more than a swipe, it’s done. In addition to selling through its own site and via Amazon, Luma routers are now available in 700 Best Buy locations throughout the country, and unannounced partnerships should see the routers sold in at least 2,000 brick-and-mortar stores by year end. Judge says that, in response to early feedback from highly technical users, Luma has also begun issuing over-the-air software updates, including, so far, an update that allows customers to add port forwarding, and another that allows parents to control their children’s daily time limits on the internet, which Luma will enforce. Luma itself faces its toughest competition from Eero, another maker of advanced routers that beat Luma to the market. (It sells a three-pack of routers for $499 which, like Luma’s products, can be purchased through Amazon and Best Buy.) It’s also going up against Google’s OnHub router, which has fewer gee-whiz features but could presumably add them and retails for just $199. Correction: This piece originally stated that Luma has raised $9.5 million in fresh funding from AH and GV; we were taking into account a $2.5 million seed round. We also stated, per our original sources, that the fresh capital was a tack-on to the company’s Series A; rather, the new funding is a convertible note into the Series B.
Pictured: Paul Judge outside a truck promoting Luma at Disrupt SF.